Speaking at an evidence session of the Commons Transport Select Committee, on Aviation Strategy, Simon Hocquard, Operational Strategy & Deployment Director, NATS, said that as the prevailing wind in the south east of England is from the west, for some 75% of the time planes taking off from an estuary airport would fly, heavy and relatively low, over London. They could be persuaded to fly around London, to avoid subjecting London residents to the noise, but this would increase cost to the airlines, fuel burn and carbon emissions. He also said that a 4 runway estuary airport would have difficulty working in conjunction with other existing south east airports, but the actual problems, noise etc had not yet been modelled, and NATS had not yet been asked to model these issue. The Committee also heard from Richard Deakin about the possibilities of aircraft approaching airports at a 5.5 degree angle, till some 5 – 6 miles or so from the airport, and then reverting to the usual 3 degrees descent. This would limit noise for those further from the airport, but not for those living under the final miles of approach. The importance of airspace, the invisible infrastructure that underpins UK aviation, was emphasised today by Richard Deakin, NATS Chief Executive Officer, as he gave evidence to the Transport Select Committee Inquiry on Aviation Strategy. Delays to aircraft attributable to NATS so far this year have averaged just 1.6 seconds despite it handling more than 22 per cent of European air traffic. The average air traffic delay across the whole of Europe is almost 33 seconds. The south east of England is one of the busiest and most complex areas of airspace anywhere in the world, accommodating flight paths for the five major London airports, and a number of smaller airports, within a very small geographic area. 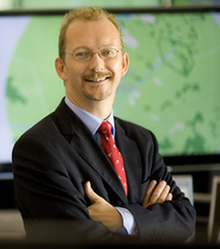 It was also Mr Deakin’s view that a 4-runway airport in the Thames estuary could not co-exist with Heathrow and London City as they operate today; from a cost and complexity of change perspective addressing existing infrastructure constraints would be preferable to building an entirely new airport. Mr Deakin added: “It is already a challenge to support current, let alone future demand growth, and airspace is just as constrained as the infrastructure on the ground.” He added that NATS has offered to support Sir Howard Davies’ Airports Commission in the New Year as they consider different airport proposals. Airspace may be invisible, but it is structured in a very detailed way to ensure aircraft fly through it safely, efficiently and with as little fuel burn and associated CO2 emissions as possible. NATS’ air traffic controllers are responsible for ensuring that minimum distances between aircraft, both vertical and horizontal, are maintained. The Commons Transport Committee takes oral evidence on aviation strategy. A new four-runway airport in the Thames Estuary could create “insurmountable” problems above London, the head of Britain’s air traffic service has warned. In a fresh blow to Britain’s aviation policy, Richard Deakin, the chief executive of the National Air Traffic Service, raised serious concerns that a new Estuary hub would be unworkable, warning it could not co-exist with either Heathrow, London City, Northolt or Southend airports. Mr Deakin, Britain’s top-ranking aviation official, also reveals that the Mayor of London has so far failed to consult him over a “Boris Island”, which could cost £70bn. A four-runway Estuary airport would only work “in isolation”, Mr Deakin believes. It would not only interfere with London’s current network of airports but also would also cause problems for Dutch air traffic and Schiphol airport. “You may find that, in isolation, the airport works well but that actually the challenges of integrating it into the surrounding network of Southend, London City, Northolt and Heathrow are insurmountable,” Mr Deakin said. The aviation expert cautions that a “Boris Island” would have particularly grave consequences for Heathrow. Although he stops short of saying Heathrow would be forced to close, Mr Deakin says capacity at the hub, owned by BAA, would have to be cut dramatically. “That would be a difficult conversation for the airlines based there,” he said. Mr Deakin’s stark intervention in the aviation debate comes amid fears that the Government will seek to delay stating its position on the airport debate by making a “call for evidence” which does promote any options. The Government is due to publish the call for evidence alongside its long-awaited Aviation Policy Framework by the end of the summer. Sources say the policy framework is unlikely to tackle sensitive issues around aviation capacity and will instead focus on broader areas such as carbon emissions. The Government has firmly stated that it opposes a third runway at Heathrow, but BAA will be allowed to make its case for expansion as part of the call for evidence. “You can’t prejudge what sort of evidence you receive,” said one government insider. Sources say Transport Secretary Justine Greening is hoping to reach cross-party consensus on aviation capacity to deflect some of the pressure on the Conservatives over Heathrow. Some in the industry fear that the Policy Framework may also be delayed until September. Posted: Monday, December 10th, 2012. Filed in News about Airports, Noise News, Recent News.